When I was a little girl, my all-time favorite sandwich was the BLT -- Bacon, Lettuce, and Tomato on toasted sandwich bread. I ordered it almost every time I went to work with my mom at the bowling alley and/or honky-tonk bar where she was a bartender. It remained my favorite for many, many years to follow. Then as a grown, married woman, I moved to Mexico. It was here in this country I now call home, where I discovered the Lonche de Aguacate con Queso -- a special avocado and queso fresco sandwich served on a crusty bolillo roll, very popular during Lent. It was love at first bite and quickly replaced the BLT as my favorite sandwich. And for twelve years, that title remained uncontested. It appears that a new contender has arrived on the scene, threatening to rip the title of "My All-Time Favorite Sandwich" from my once beloved Lonche de Aguacate con Queso. The contender's name? 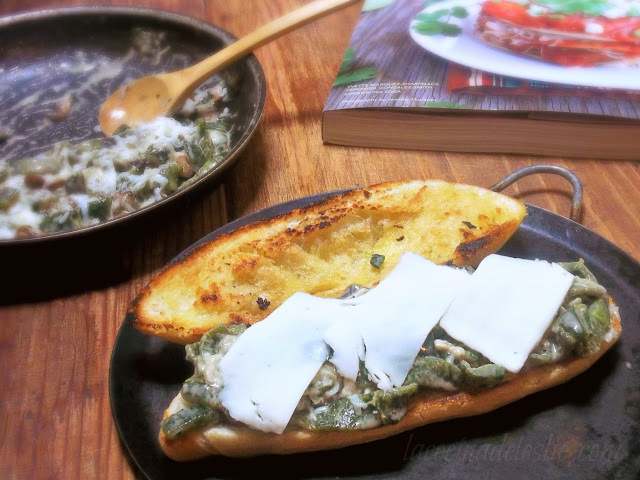 Torta de Rajas con Champiñones! 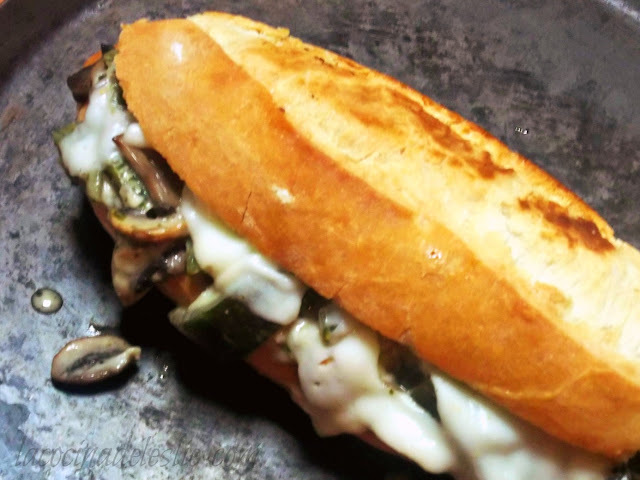 A spicy vegetarian sandwich made with sliced mushrooms and roasted poblano peppers, topped with oodles of ooey-gooey melted cheese. And just a hint of tequila. Yes, you read that correctly, TEQUILA! 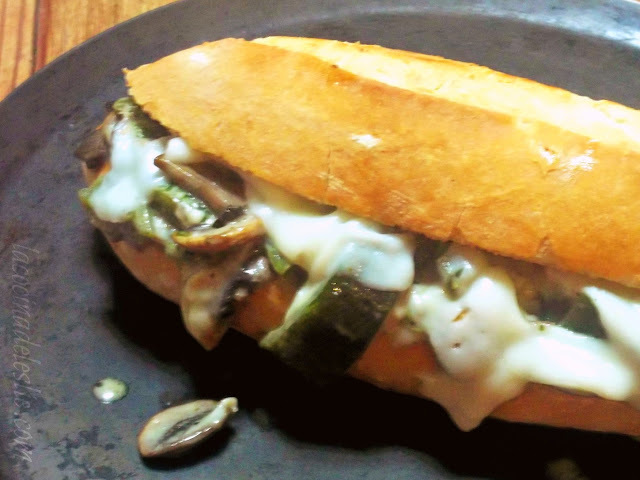 The combination of mushrooms, roasted poblano peppers, Mexican crema and that teeny, tiny splash of tequila is so incredibly delicious, I honestly don't know how I resisted the urge to eat all of the filling straight from the skillet, before I even finished assembling our sandwiches. After just one round with this knock-out sandwich, I'm pretty sure I have a new champion. Now it's your turn, what's your favorite sandwich? 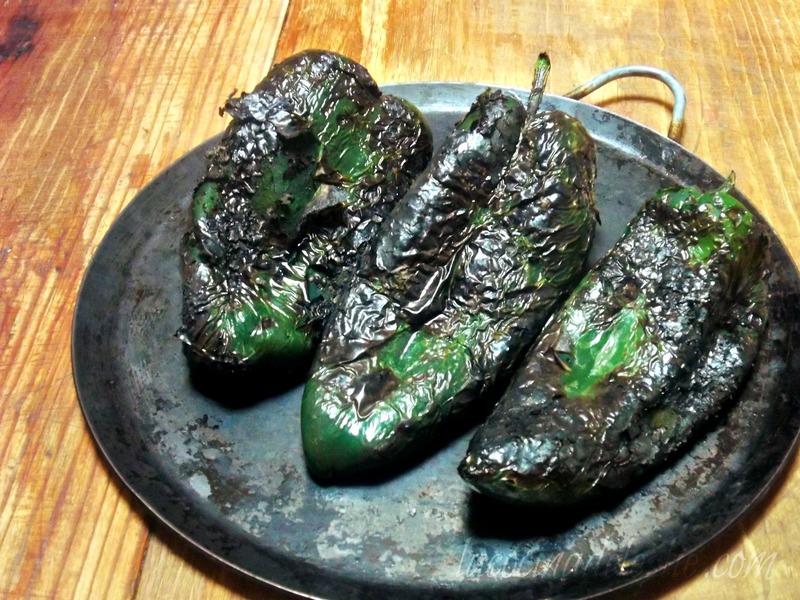 Roast the poblano peppers on a comal or griddle over medium-high heat, until the skin has charred. 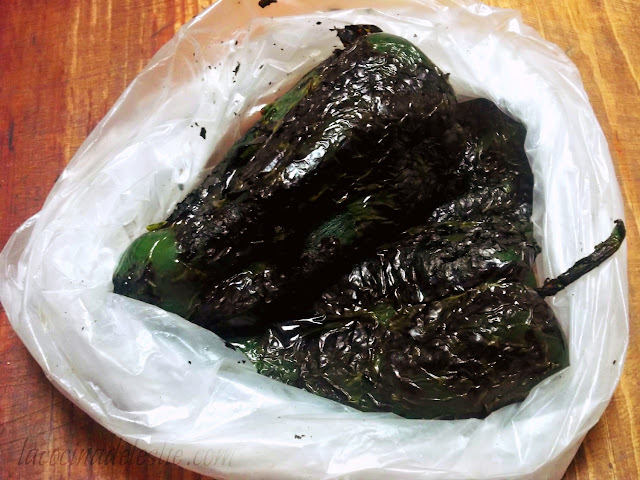 Place the roasted poblano peppers in a plastic bag and let sit for 5 to 10 minutes. This allows the peppers to sweat, which makes it easier to peel the peppers and remove the charred skin. 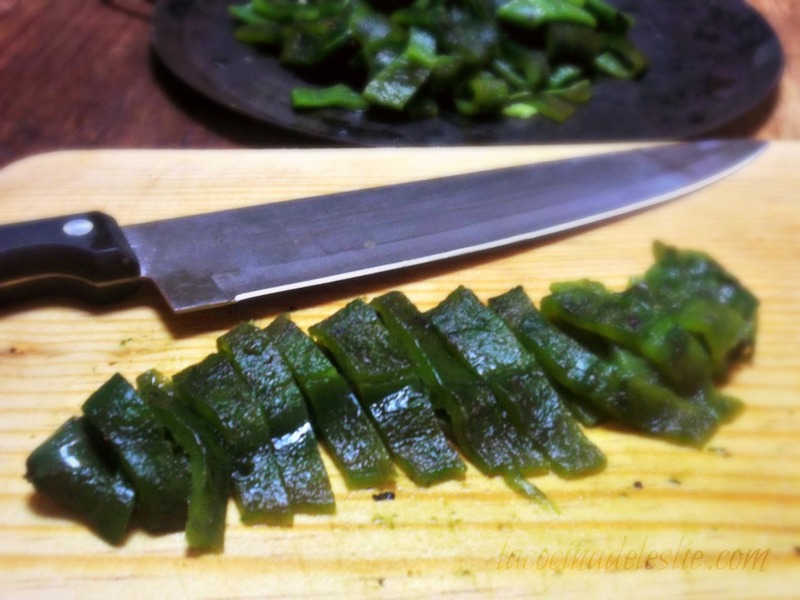 Remove stems and seeds from the roasted poblano peppers; cut the peppers into 1/2-inch strips. Set aside. Add the roasted poblano pepper strips. Stir in the Mexican crema and tequila. Let simmer for about 5 minutes; season with more salt and pepper, if necessary. Remove from heat and stir in 1/4 cup of the Manchego cheese. Cut the bolillo rolls in half lengthwise; brush insides and out of bolillo rolls with melted butter. Toast the cut-side (inside) of each bolillo roll on a comal or griddle over medium-low heat. Spoon half of the mushroom and poblano pepper mixture onto the two bottom slices of bolillo roll. Top with the remaining shredded cheese. (I added a few extra thin slices of cheese, because you can never have too much cheese!) Top with the top slices of bolillo roll. Toast the sandwiches for a few minutes on each side, until the bread is slightly crispy and light golden brown, and the cheese has completely melted. Enjoy!!! Drooling over here! Looks so delicious! Going to make this torta this week for sure! The recipe has no instructions for adding and cooking the pepper strips. 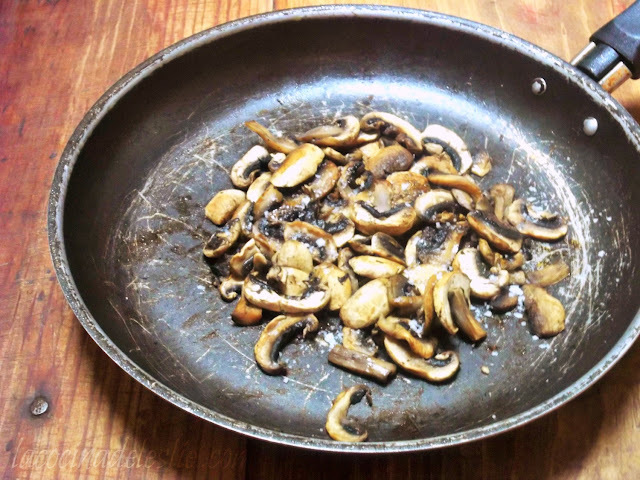 Do you cook them along with the mushrooms and how long if so? Portabellas would be good as the 'shrooms. Add a couple of strips of steak and you've got a mexican philly cheese steak. I'm in with or without the meat. I made these yesterday and they were delicious! I added some red onion. 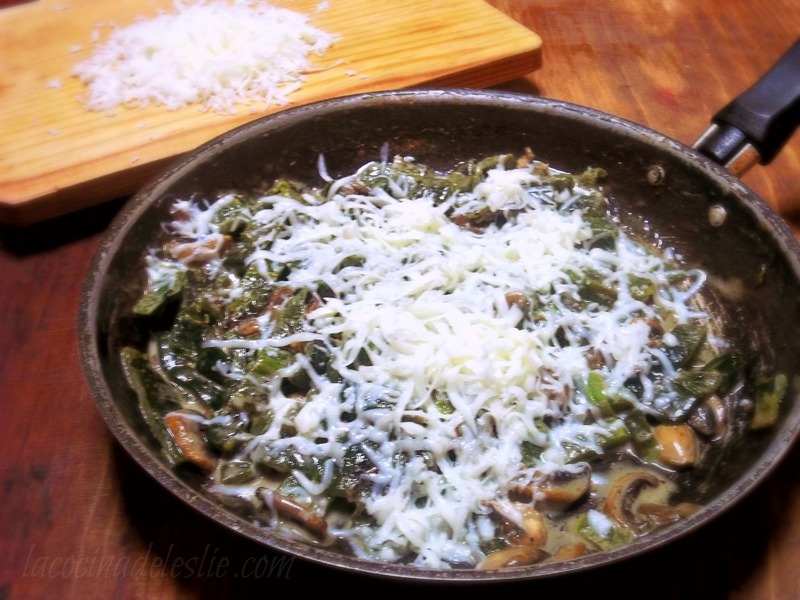 Cooked it separately and added to the mushroom and poblano pepper mix. So good! Wow, that looks fantastic! I think my favorite sandwich is still the BLT, but I may have to expand my horizons with your sandwich. Leslie, this torta looks amazing! Can't wait to try it! My all time fave torta would have to be the hot dog tortas at a little corner store in Mexico City near the Canadian Embassy..wish I could remember the name of the little place but the tortas there are amazing! They press them with a sandwich press before serving & they are heavenly! Serrano chilies served on the side for a perfect bite of heat. Really missing Mexico as winter has definitely arrived in Canada! Trying to patiently wait for our Mexico trip next April after baby is a few months old! Happy Friday! Wow, this looks fantastic!! Can't wait to try it. Thanks for the recipe! Thank you very much for sharing all this recipes with us.I going to start cooking different meals thanks to you.